China successfully launched its second experimental space lab as part of an ambitious programme by the Communist giant to build a manned space station by 2022, the time when US-led International Space Station expected to go out of service. The Tiangong-2 space lab was successfully launched from the Jiuquan Satellite Launch Centre in northwestern China's Gobi desert. "It was text book launch. It reached the designated orbit in about 10 minutes," an official in-charge of the mission announced over the state-run TV which telecast the launch live. "The mission is complete success and the space lab reached its designated orbit," the official said. China's manned space program has now entered a new phase of application and development," Wu Ping, deputy director of China's manned space engineering office, said. In a cloud of brown smoke, Tiangong-2 roared into the air underneath a mid-autumn full moon from the Jiuquan Satellite Launch Center on the back of a Long March-2F rocket, trailing a vast volume of flame, the official Xinhua news agency reported. 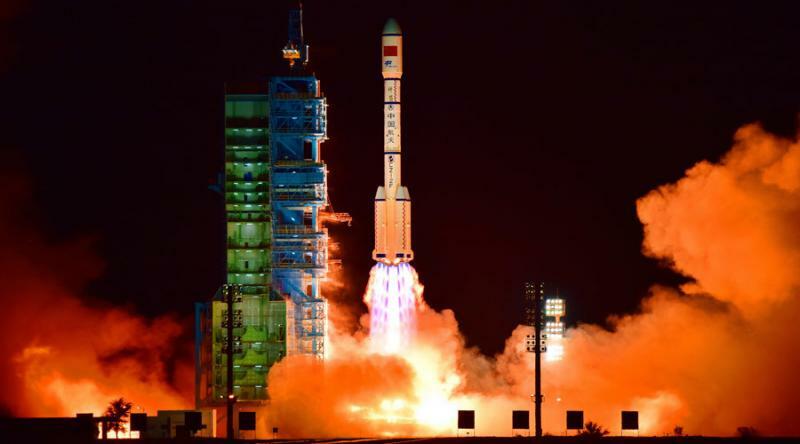 China's ambitious space programme aims for a manned space station by 2022. China's space station is expected to be sent into orbit just as the US-led International Space Station goes out of service -- making China potentially the only country with a permanent space presence. The 8.6-tonne space lab will manoeuvre itself into an orbit about 380 kms above the Earth for initial on-orbit tests. It will transfer to a slightly higher orbit at about 393 kilometers above the Earths surface by next month before a manned space ship called Shenzhou-11 would ferry two astronauts into space to dock with the lab. The two astronauts will work in Tiangong-2 for 30 days including manual and automatic docking before reentering the Earths atmosphere. In April 2017, China's first cargo ship Tianzhou-1, which literally means "heavenly vessel," will also be sent into orbit to dock with the space lab and provide it with fuel and other supplies.